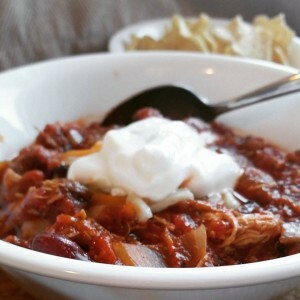 This is the Best Chili Recipe I have ever tried. Chicken, Sausage and Black Bean Chili. Yes, you heard me right. It’s so delicious and warm and amazing. It’s the best for a cold winter’s day! One of my favourite meals has always been Chili. It’s just so comforting. It’s beyond comforting. It’s a blanket of deliciousness on a cold and dreary day. My Kids also love it! Like, beyond love it. I am used to making the plain old Chili with ground beef, and believe me, it’s delicious and I love it but I wanted to try something different. The best part is that you can use leftovers to make this! What’s better than being able to make a meal from another meal? I couldn’t tell you anything better to be honest. I just couldn’t. So, I stuck some chicken, sausage and black beans in my chili, and I have fallen in love. I mean, chicken chili? Yes. CHICKEN CHILI. Add some sausage and black beans and I am in LOVE. Food Love. Delicious Food Love. I always make sure to split the mixture to two pots. I make a spicier version for husband and I, and make a less spicy version for the little monkeys so that they can eat it and enjoy it too. 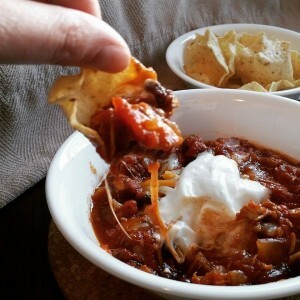 We enjoy eating our chili with tortilla chips, just dip them in there and scoop up that delicious chili. Who needs a spoon? We love to top our chili with cheese and sour cream too. Makes a delicious meal. Delicious! This meal is a great, delicious and yummy meal for the winter. 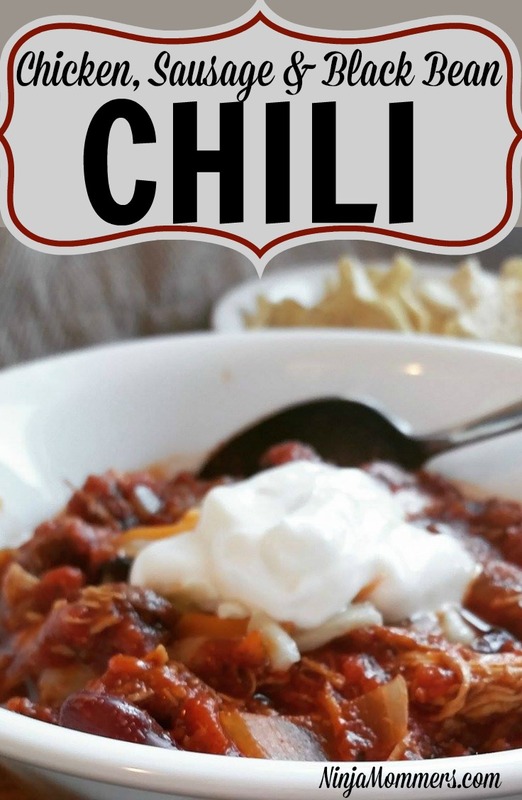 I am not kidding when I tell you this is the best chili recipe that I have ever used. I can’t wait to eat the leftovers. A warm, comforting chili recipe full of chicken breast, sausage and black beans. Topped with cheese and delicious sour cream. In a large saucepan heat 1 tbsp Olive Oil over Medium heat. Bring to a Boil, reduce heat to simmer and cook covered for 1 hour, stirring occasionally. After an hour add kidney and black beans. Simmer uncovered for another 30 mins, stirring occasionally.